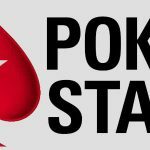 PokerStars is hosting a country-specific promotion giving players in Latin America, Austria, Bulgaria, Germany, Liechtenstein and the United Kingdom five opportunities to freeroll a “Trip to Vegas” worth $5,000. 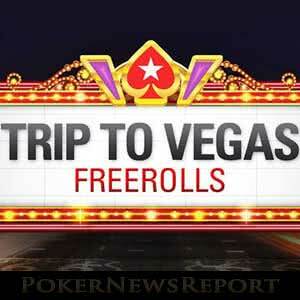 There is also more than $5,000 in cash prizes up for grabs over five Freeroll Finals. If you are lucky enough to live in one of the qualifying areas, head over to PokerStars, where you will find “Trip to Vegas Freerolls” running every day at 3:00pm (ET). The top fifty players in each freeroll tournament will qualify for a Grand Final on April 20th, and the winner of the Grand Final will win a Trip to Vegas worth $5,000 courtesy of PokerStars. If you don´t win the top prize on April 20th, there is more than $1,000 in consolation cash prizes shared among the top two hundred players, plus you will get further opportunities to win a Trip to Vegas in Grand Finals scheduled for June, August, October and December. That´s more than $30,000 in prizes up for grabs, and you can win your share of it for free. Each $5,000 package consists of return flights to Las Vegas for two, five nights in a luxury hotel, and full travel insurance. If you win the package, you can choose when you want to go within the next four months, but certain times of the year (Christmas, Easter, WSOP, etc.) may be hard to accommodate. The package is a “must-take” prize as there is no cash alternative available. It is also important to be aware that winning players are responsible for organising their visas and travel arrangements such as airport transfers (although the travel agency organising the trip on PokerStars´ behalf may be able to help you with this). Once you have arrived in Vegas, you are free to spend your time and money doing whatever you like – there are no strings attached. 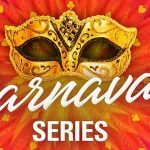 Players can only qualify once for each Trip to Vegas Grand Final, so it might not be difficult to qualify from the daily freeroll tournaments once the fields get smaller (as already qualified players won´t bother re-entering). Once in the final, there will likely be three thousand players with their eyes on the top prize, so winning the Trip to Vegas is going to take considerable skill and a fair amount of luck. Friday April 20th at 3:00pm (all times ET). Thursday June 21st at 3:00pm. Wednesday August 22nd at 3:00pm. Tuesday October 23rd at 3:00pm. Monday December 24th at 3:00pm. Somebody has to win in each Grand Final, and the prize is certainly worth the effort. Whatever time of year you choose to visit, Las Vegas is a hive of activity with dozens of top-ranked shows, activities and attractions in addition to the casino action. Trying to fit everything in within six days might be just as difficult as trying to win the prize in the first place! Although qualifying for April´s Grand Final may be easier as the target tournament approaches, you don´t want to leave it too late to take your chance. Furthermore, it costs nothing to enter each daily freeroll, so it is a good idea to take advantage of the opportunity to hone your tournament skills and increase your chances of qualifying by playing sooner rather than later. 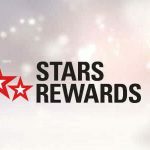 If you do not yet have an account with PokerStars and would like the chance to win a Trip to Vegas, simply visit the site via the links in our review and create a free account using the PokerStars marketing code “PSA225” during the registration process. Not only will using this code qualify you to take part in the Trip to Vegas promotion, you will also be eligible to receive a 100% bonus on your first three deposits up to $600. Good luck at the tables, and hopefully see you in Vegas!